The Mormon Tabernacle in Salt Lake City is one of the most famous buildings in America. It’s also one of the most unique. Measuring 150 feet wide by 250 feet long with an enormous dome shaped roof, early critics ridiculed it, describing it as a turtle that lost his way in the desert. Now nearing 150 years old, the building was scheduled for a major renovation, including a new roof. Built in the 1860s by pioneer members of the Church of Jesus Christ of Latter-day Saints, construction was an exercise in resourcefulness. Church leaders directed Henry Grow, who designed the structure, that the building needed to seat 10,000, with good acoustics and unobstructed views. Using his bridge building experience, Grow designed a series of semicircular trusses that supported the roof without interior columns. The trusses were made from local timber, pegged together and strengthened with rawhide since iron was unavailable. The trusses, placed on sandstone columns 20 feet apart, were tied together with rough-sawn 3 x 12 planking, which formed the roof deck. The meeting hall was the largest west of the Mississippi for more than 50 years, and has been recognized by the American Society of Civil Engineers as an engineering milestone. It was added to the National Register of Historic Places in 1970. 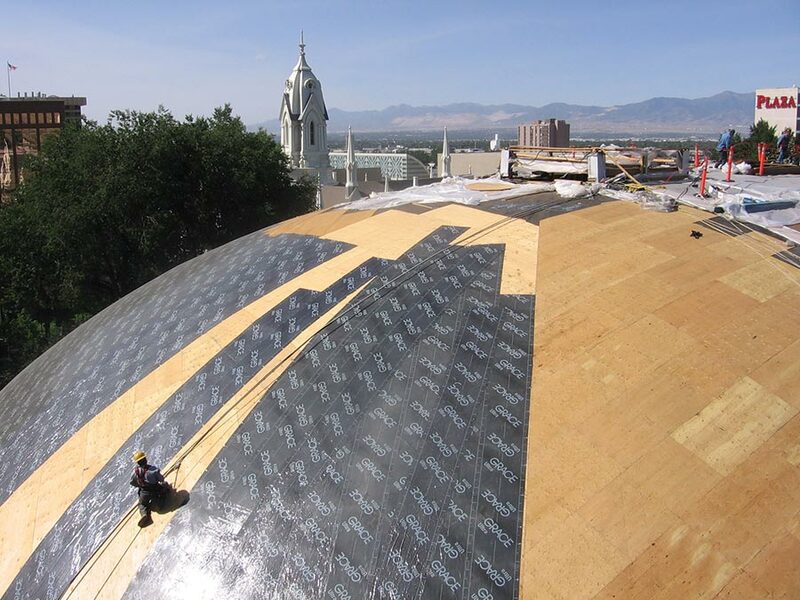 One key aspect of preserving the historic structure was to install the best roof possible. The original pine shingles, installed over the thick plank decking, were replaced with tin in the late 1800s. 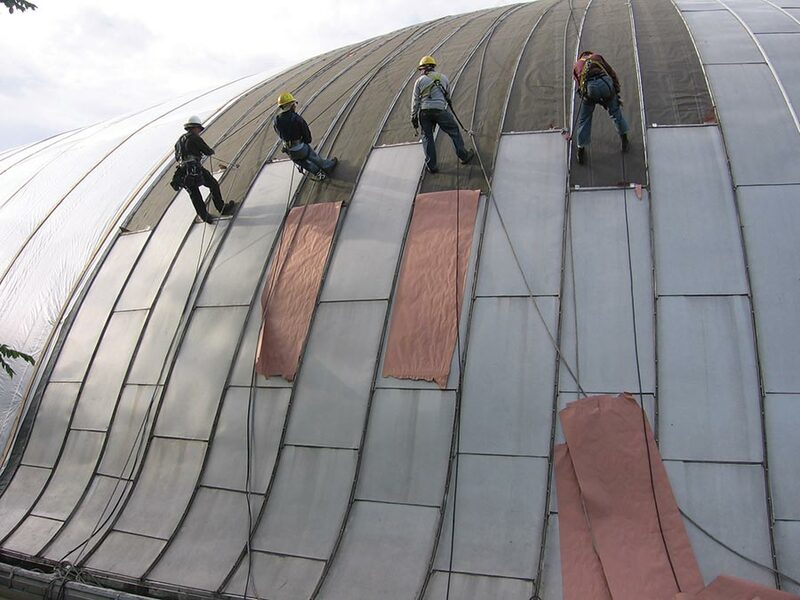 Shortly after the Second World War, the current aluminum panels were installed. 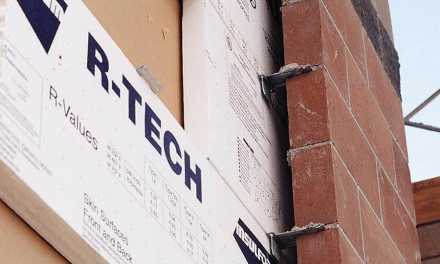 “About a year before this project started, we took the roofing apart in one area down to the underlayment that was put down 12-15 years ago, and helped them look at several systems they could use,” says Ritchie. The major aim of the most recent renovation was a seismic upgrade, which involved reinforcing the foundation and installing several steel “sister trusses” in the roof diaphragm next to the original wooden ones. 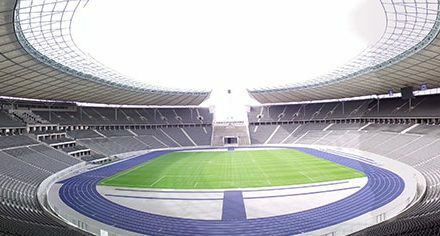 The owners also decided to replace the roof, since it had to be partially dismantled for the truss installation anyway. Utah Tile and Roofing got the job. 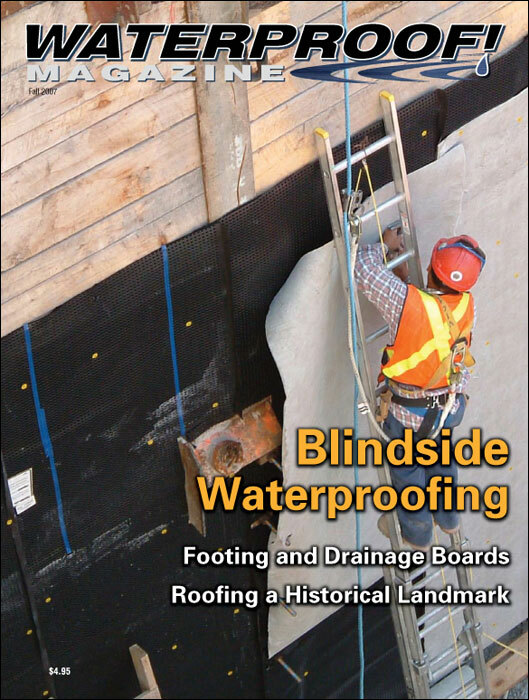 “Basically, the first part of the job was to remove the roofing panels that had been on for 57 years, remove the felt underlayment in place for condensation, and install a temporary roof with wood battens and visqueen,” says Ritchie. 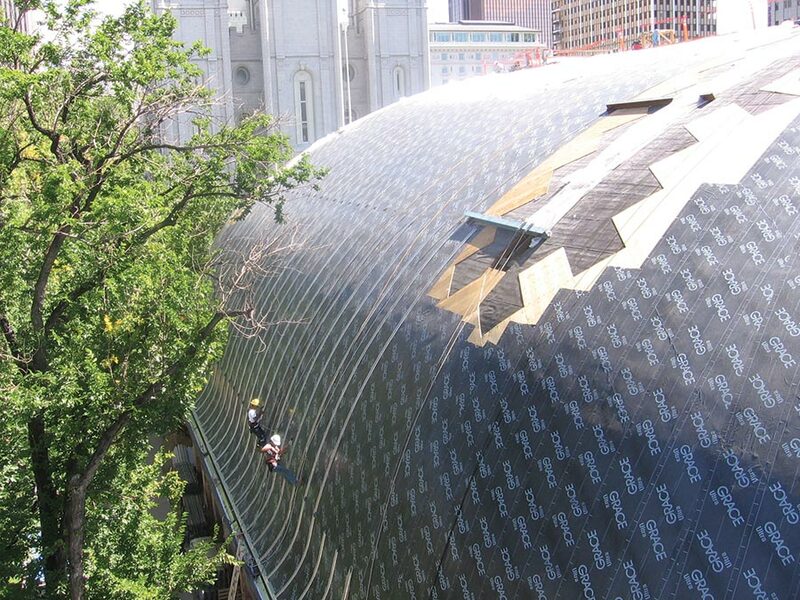 The visqueen, along with the old Grace Ice & Water Shield would serve as temporary construction roof for the next phase of the job. With the temporary roof in place, a hole was cut through the original plank decking to install the steel trusses. Each truss was disassembled and fit through the opening in nine separate sections to minimize damage to the roof diaphragm. During this period, the skylights and venting were also renovated. “It was under visqueen for several months, probably three or four,” says Ritchie. Logistics were a major challenge. The Tabernacle is a central feature of the church’s Temple Square, Utah’s most-visited attraction. 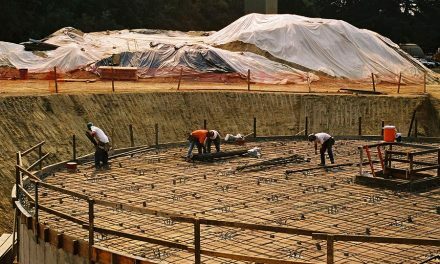 The square draws between 3 million and 5 million visitors annually—as many as the state’s five national parks combined—and the square was to remain open during construction. A sturdy construction fence was erected immediately around the building, and staffed with security guards. Workers had to have an access sticker on their hard hat to be allowed into the construction area. “We were fairly fortunate in that we were pretty much the only trade on the roof,” says Ritchie. The site was too cramped to keep materials on site, but owners provided a storage yard about a block away.” Ritchie notes that even though the site was restricted and access was a challenge, Jacobsen Construction, the general contractor, did an outstanding job organizing schedules, construction phasing, and coordinating access between numerous diverse trades on site. “This was truly the miracle of the job,” he says. 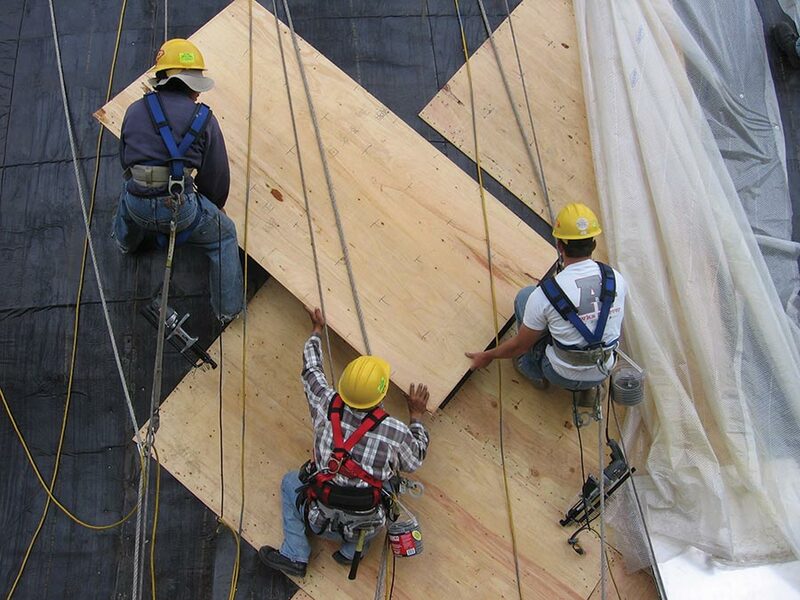 With the trusses in place, Utah Tile and Roofing could begin putting the roof back together. 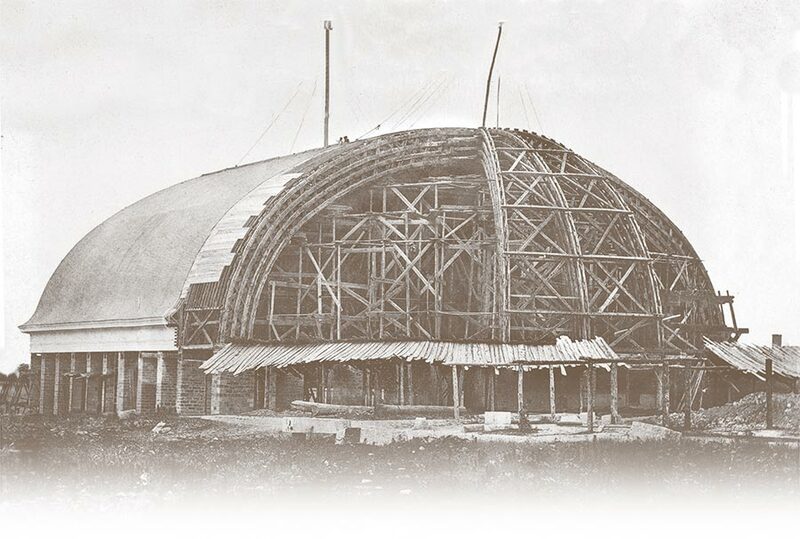 As each section was completed, workers removed the visqueen and battens, and installed a layer of ½” plywood. To meet structural requirements, the wood was applied diagonally, meeting on the ends in a herringbone pattern. 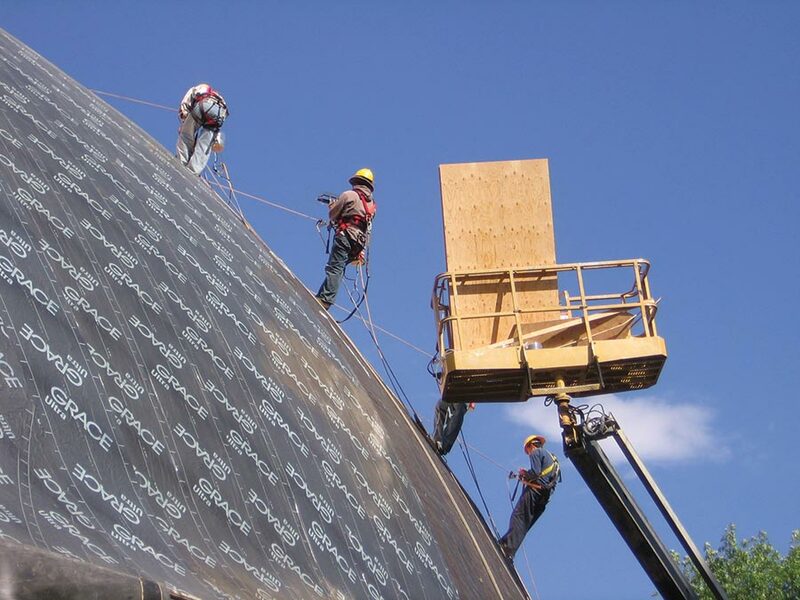 Roofers then covered the plywood with another layer of Grace’s ice and water shield. Two layers were applied in areas with less than a 2:12 pitch. “It’s a hard roof to begin with, and the logistics were terrible.” says Ritchie. “With Jacobsen digging holes in the ground [to reinforce the sandstone piers], we couldn’t get the man lift into some of the areas we’d wanted to. 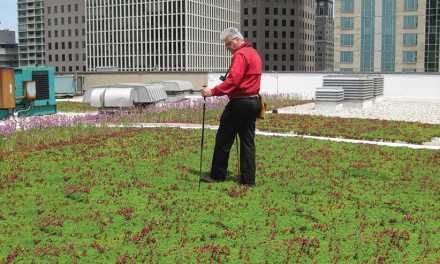 The scope of work also involved rebuilding the gutters and installing new aluminum roof panels. “The panels had already been re-installed once with moderate damage, and the owner wanted to go to a heavier gauge,” says Ritchie. The new panels were made by the same company that made the original aluminum panels almost 60 years earlier. The project, completed earlier this year, is already gaining attention, both for the quality of the renovation and for the challenges overcome. The roofing portion of the job, which was one of the more difficult tasks, was completed so well that industry insiders speculate it may win a Gold Circle Award. Sponsored by the National Roofing Contractors Association (NRCA), contractors can vote at their show in Las Vegas next February.